Boeing, one of the largest aircraft manufacturers in the world, launched Horizon X in April 2017. The new venture investment division was created to invest in aviation related technologies. In a separate development, Boeing also recently bought Aurora Flight Sciences, an aviation company with a track record of developing more than 30 aircraft, both autonomous and drones, since its founding in 1989. Boeing acquired Aurora Flight Sciences, a Virginia-based company which is working on a vertical take-off and landing (VTOL) aircraft for the U.S. Air Force. Aurora has developed more than 30 aircraft, both autonomous and drones, since its founding in 1989. In addition, Aurora is also an Uber partner in the development of an air taxi. The bold move was first announced in October and was finalized in November 2017. This gives Boeing the advantage of getting into the thick of the competition for VTOL aircraft. Airbus had earlier announced that they would start testing their electric flying cars this year. This is in line with the deployment of autonomously-piloted aerial taxis. The acquisition is fast because Aurora is a privately-held company. In addition, Aurora and Boeing have worked on military and commercial autonomous aircraft projects before. The leadership of both companies have also been on good terms even before the planned acquisition. Besides working together on several projects, the two companies are also included in the USAF 8-year $499 million ASAPTR contract to research novel tech for future aircraft. Aurora will operate as an independent subsidiary under the engineering, test and technology division, headed by Boeing Chief Technology Officer Greg Hyslop. It will continue to focus on technology development for autonomous flight, machine learning, electric propulsion and flight control systems. It was recently awarded an FAA Special Airworthiness Certificate for a Bell UH-1H autonomous helicopter developed under the U.S. Navy. Last April, it completed a subscale vehicle demonstrator flight test program of the XV-24A LightningStrike for the Defense Advanced Research Projects Agency. The full test program begins late 2018. The XV-24A is a VTOL-capable aircraft with tilt-wing capability and has no exposed rotors. Autonomous flight is inherently different from fixed-and rotary-wing aircraft. 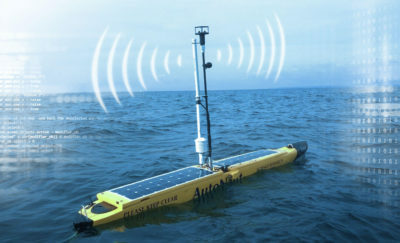 However, according to Carry Haase, the program manager for Aurora, the company uses the same basic autonomous control system for all types of platforms. The difference is in the solution space. Helicopters and fixed-wing aircraft have different vehicle dynamics resulting in tighter or wider maneuvers. However, in solving problems for autonomous flight the platform senses the environment. Also, with the use of machine learning, it plans its own route and implement the flight commands accordingly. Prior to Aurora, Boeing was the only major aircraft manufacturer without an autonomous aircraft project for possible consumer use. The acquisition of Aurora has changed the playing field in favor of the company. Granted that Airbus is set to start testing autonomous aircraft in 2018, Aurora already has the tools and knowhow to make their own autonomous taxis. 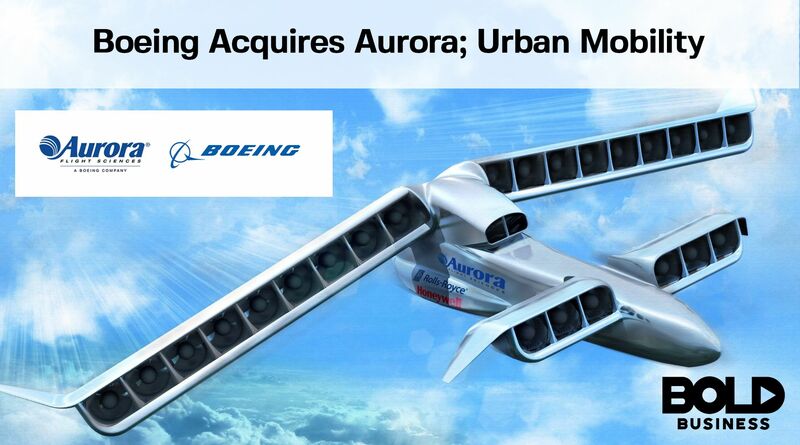 Vice President and general manager of Boeing for the autonomous systems business unit, Chris Raymond said that Aurora brings with it a large research and technology portfolio, good manufacturing practices and prototyping capabilities. He also noted that Aurora is under the engineering and technology group so it reports to Boeing’s executive council, maintaining its own commercial and defense programs. The acquisition of Aurora is a big advantage for Boeing. It’s an engagement with a company that has long experience in VTOL aircraft development, autonomous flight capabilities, and electric aircraft development. It also puts Boeing in the running for the autonomous air taxi market which is still in its germinal stage. Horizon X started investing in April, with Zunum Aero, an alternative propulsion aircraft startup. It is currently developing “hybrid-to-electrics” short-haul aircraft with low aviation emissions. In June, the investment company joined in the initial funding round of SparkCognition. The $32 million initial funding round was led by Verizon Ventures. The IT security and industrial operations startup has developed a platform for security, finance, telecommunications, energy, oil and gas, manufacturing, aerospace and defence. 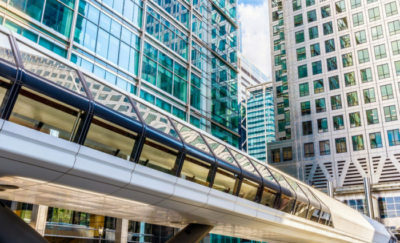 The platform is used as a tool for cognitive and data-driven analytics. Horizon X continued its investment streak in October when it also invested in Near Earth Autonomy, a startup which specializes in autonomous flight. The startup started as a spin-off from Carnegie Mellon University’s Robotics Institute. As part of Boeing’s recent aggressive stance it has also been involved in talks with Brazil’s Embraer. According to sources,the talks will only include commercial aviation. The military aviation part of Embraer are not part of the discussions. Boeing has also shown its commitment to help build up a new division, Boeing Global Services, to grow to a $50 billion company. Along those lines, it has gone into a joint venture with Adient PLC, a supplier of automobile seats, to develop high-class, lie-flat seats for airliners. The airplane manufacturer has also gone after airplane parts supplier Woodward, Inc. for a possible joint venture. Woodward currently also has a jet-engine parts partnership with General Electric. If this pushes through, it will most probably be a joint partnership but it will not include any development which would infringe on the research and development efforts with GE. Boeing’s joint ventures and investments is seen as a consolidation of its position as one of the largest aerospace companies in the world.